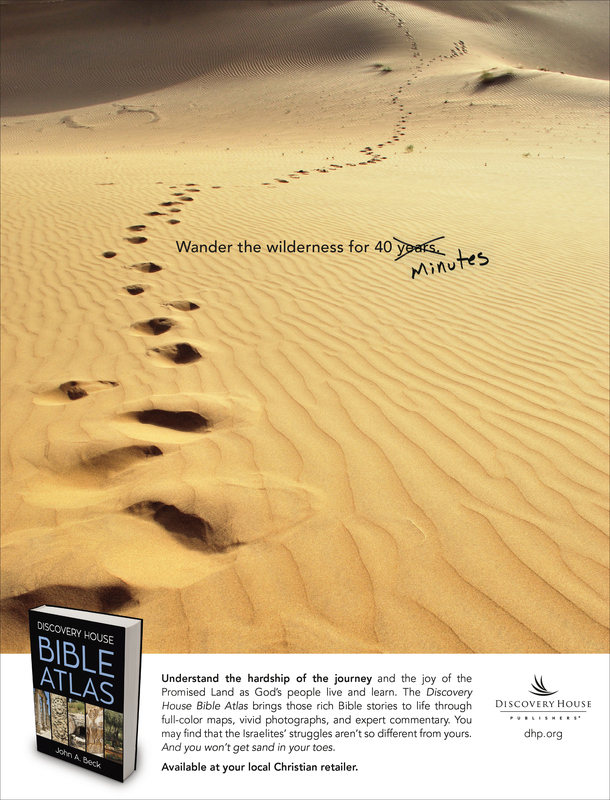 This is an ad campaign promoting the Discovery House Bible Atlas. 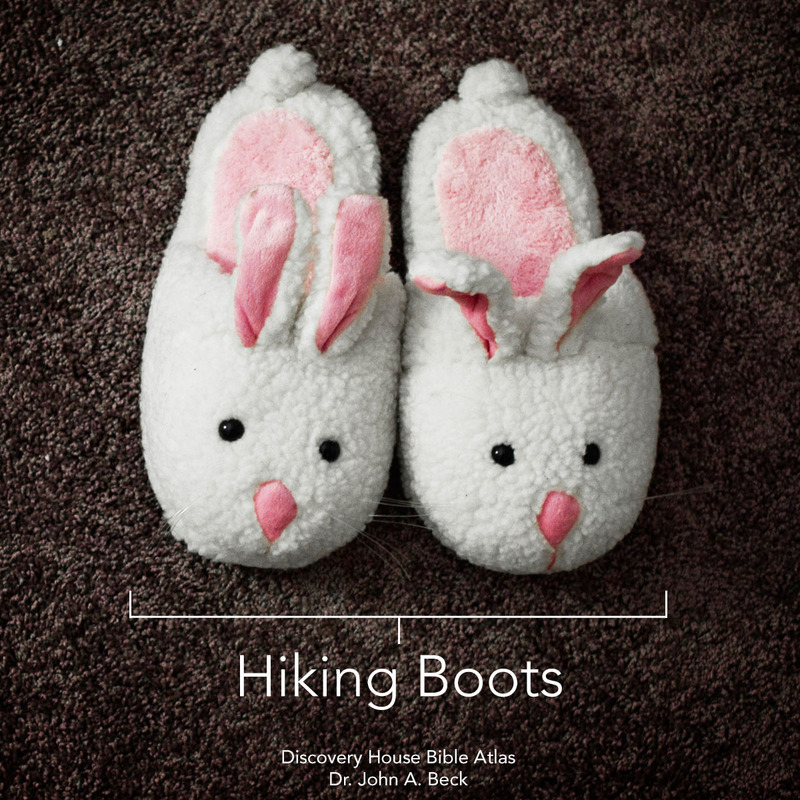 The designs centered around my concept of being able to take a journey without actually leaving the comfort and safety of home. 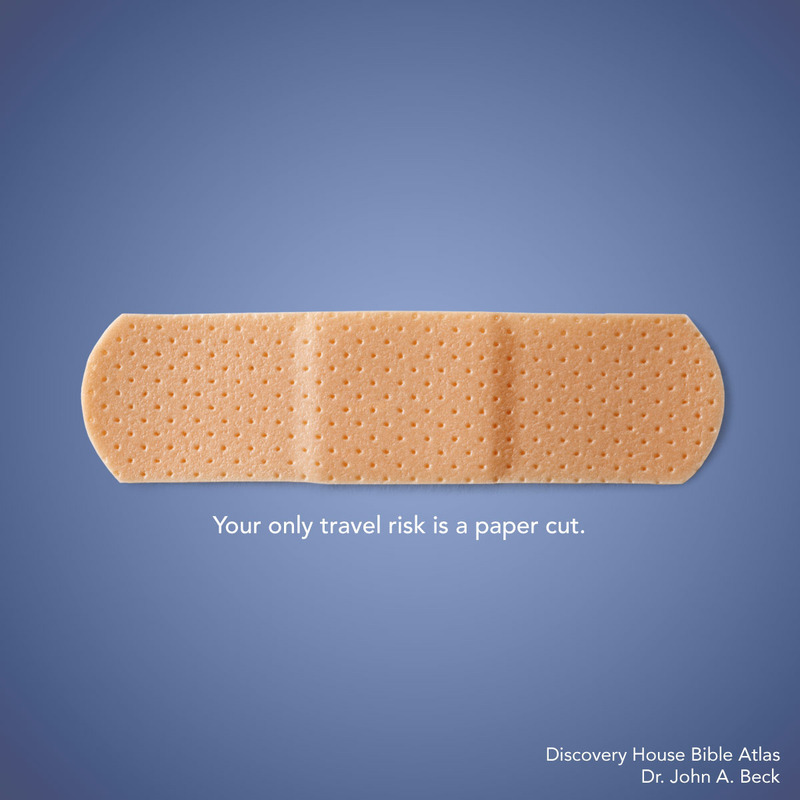 Ad distribution was done via printed magazines, social media through shareable graphics, and web banners. 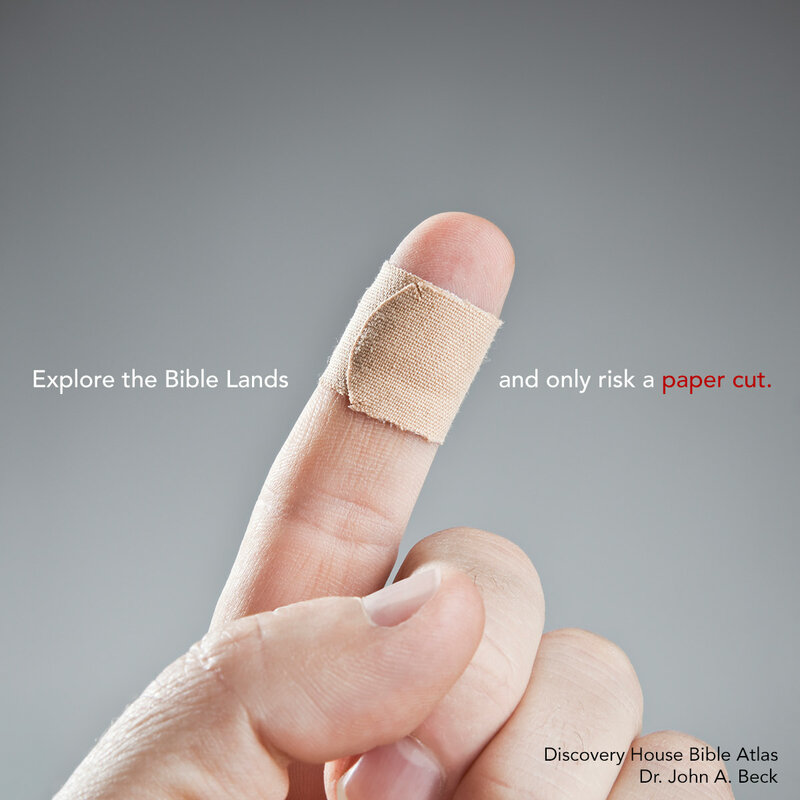 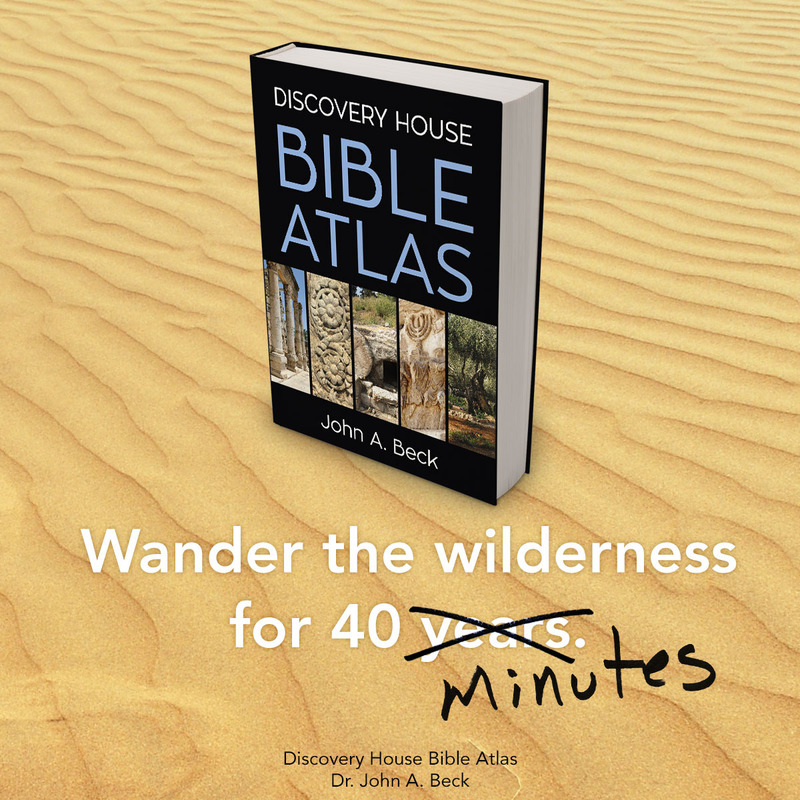 Ad campaign for the "Discovery House Bible Atlas"